This Family in London needed better light in their ground floor rear kitchen plus a new bedroom suite in the loft level. As this family did not have the time to come into our office, so we did an on-line video conference with them. We made a bullet point list of their requirements and set about making them happen! We checked their volumetric allowance under the Permitted Development Rights and realised their loft fell under this category. 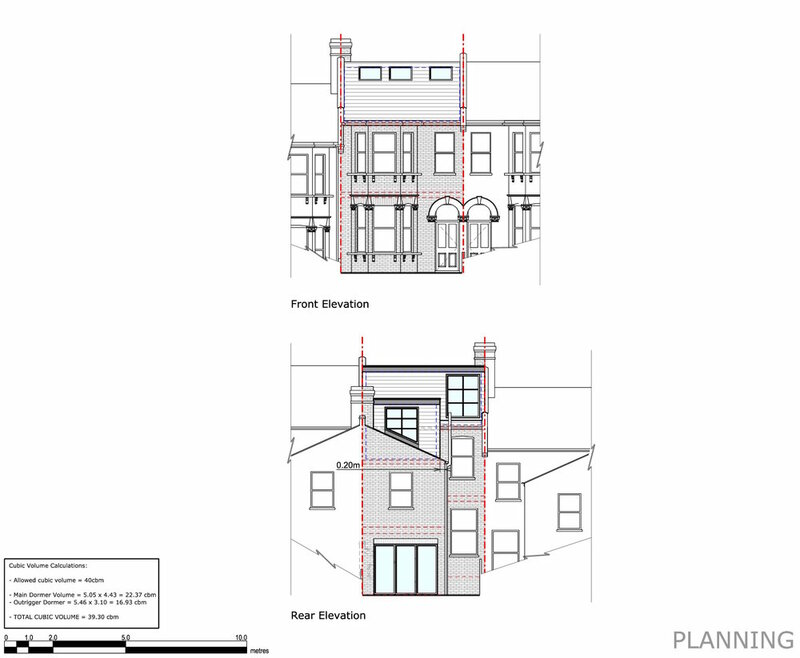 They did not need to undertake a full planning application. We advised that it is always best to apply for the Permitted Development Certificate and not start building at risk. The existing kitchen did not have enough light. The house had 4 bedrooms and the design converted it to a 6 bedroom home. The stairwell lent itself beautifully to extend upwards. Large windows and sliding doors were added to the kitchen. This brought a lot more light, and created the “indoor/outdoor living” lifestyle that is very desirable right now. The loft level and outrigger were reconfigured to add two more bedrooms and an ensuite! A construction cost of approximately £130k added a value of £150k.